This past weekend, we found out what the exact specifications of the newest and greatest upcoming AMD graphics card were. Now we get to follow up on that with some benchmark test results. 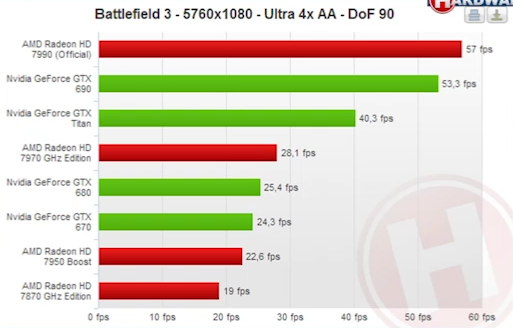 The following are the results of the card being tested and compared against NVIDIA's GeForce GTX 690 dual-GPU board. As some may expect, AMD's newer dual-chip adapter completely trounces NVIDIA's board, giving credence to the rumors that the Santa Clara company is readying an even stronger Titan card. 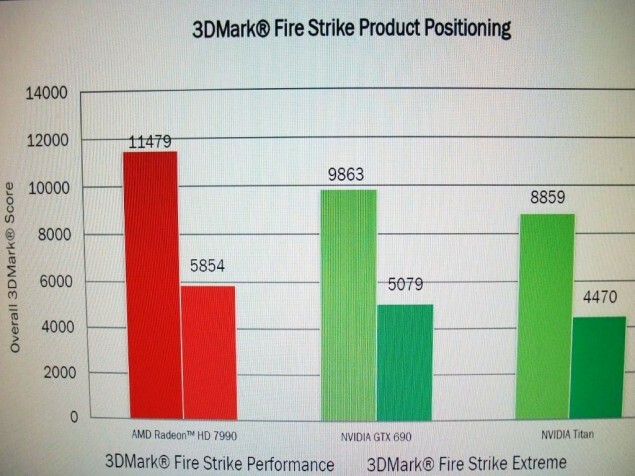 In 3DMark FireStrike, the Malta scored 11479 Marks, much higher than the 9863 Marks of the GeForce GTX Titan and even higher than the 8859 Marks of the GTX 690. Then there was the even more demanding FireStrike Extreme setting, where the product managed a scrape 5854 Marks versus the Titan's 5079 and the 690's 4470. By all accounts, all those scores are high, but that only makes the Malta more impressive for being so ahead of the others. Then again, this was a synthetic benchmark test, not an actual comparison of frame rates, detail and quality in games. When the Malta comes out, reviewers will have to take it and play games on it, then play the same games at the same settings on the other high-end adapters. We surmise that Malta will still come out on top, but the difference may not be so sharp then. That said, there is a glimpse of the Radeon HD 7990 playing Battlefield 3 at 5760 x 1080 resolution in Ultra quality, thanks to Hardware.Info. Malta is faster than GTX 690, but only by a few frames per second, oddly enough. In the end, the prowess of the two may be comparable. 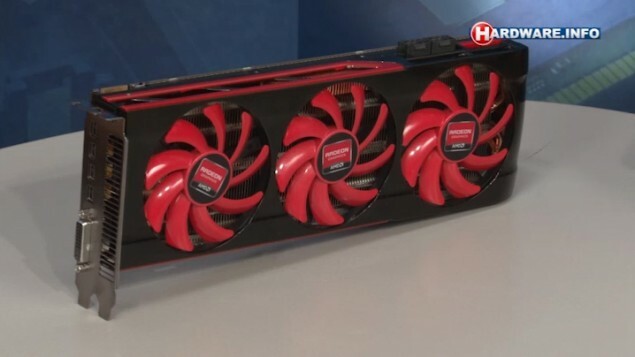 Still, knowing AMD's tendency to sell things at lower prices than its rivals, the HD 7990 may be sold for even less than the $1,000 previously reported, so AMD will tip the scales in its favor that way.